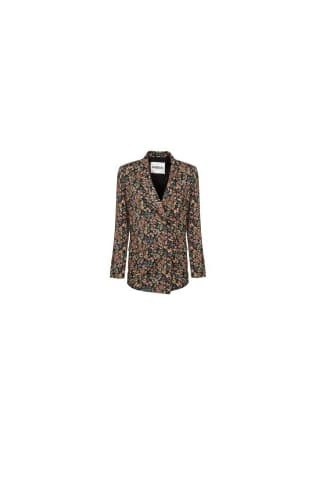 Stunning Essentiel Antwerp jacket in floral print on black background. Features single breasted collar, covered double button detail on front, flap front pockets. Feels like silk and great over jeans.